déjà-vu, April 1991, front cover & within; Araki, Shikikei, Magazine House, 1991, p.46. 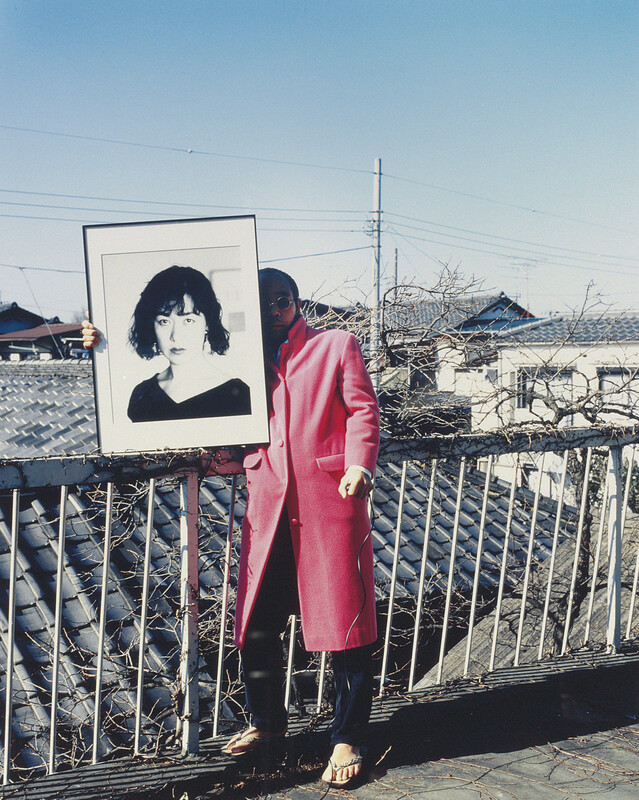 Araki photographs himself holding a framed portrait of his recently deceased wife Yoko, which was displayed at her funeral. The photographer is no longer printing this image for the retail market. Since death is after all monochrome, I felt that I was making an offering of flowers in 'Colorscapes'.